New Belgium Brewing was nice enough to send me a bottle of their latest collaboration beer, again under the Lips of Faith series name: New Belgium + Perennial Artisan Ales Salted Belgian Chocolate Stout. 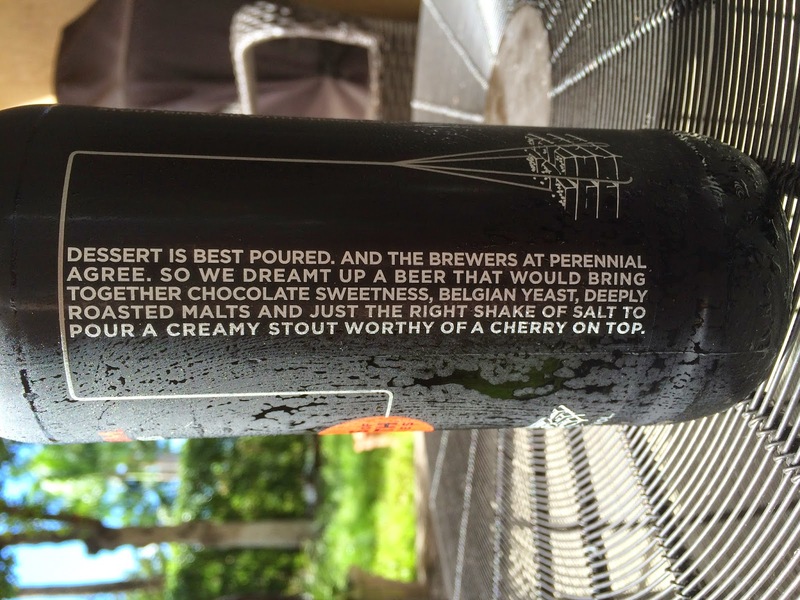 As the story goes, "Dessert Is Best Poured," so the two breweries created this beer to be worthy of a cherry on top! The artwork on this 22 ouncer shows a salt shaker being used on an assembly line of Belgian Chocolate. 9% alcohol. Best enjoyed by March 27, 2016. Nice chocolate aroma with a light noticeable yeast component. Sweet, sugary, and with a good dose of roasted malt on the nose too. 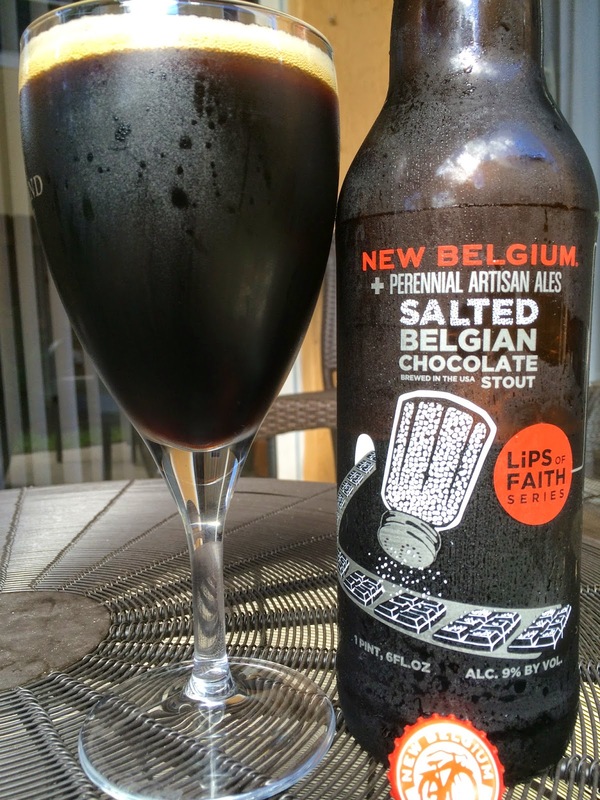 Chocolate flavors really pop at the beginning, but the beer is not sweet at all. And the Belgian yeast was very prominent, much more than the aroma let on. You also will not miss the alcohol kick in the front of this beer! Secondary flavors of coffee and licorice and boozy cherries all take turns. Lots of fun nuances. there is also a good roasted malt backdrop, even a little ashy. Creamy texture. And I just remembered the "salted" part they talked about on the label. I had forgotten, but as I drank half the bottle, the salty profile really started to build. The finish has a lingering yeasty, tangy kick, enhanced by the alcohol. An all-around enjoyable beer, full of interest and flavor. Check it out.